Tomas Barreto, VP of Engineering at Box, takes biohacking seriously. Like sequencing-his-genome, running-currents-through-his-body seriously. But don’t call it a hobby or a side project. Barreto draws a straight line between the biohacking work he’s done to not only a more thoughtful, healthier life but also the trajectory of his career. 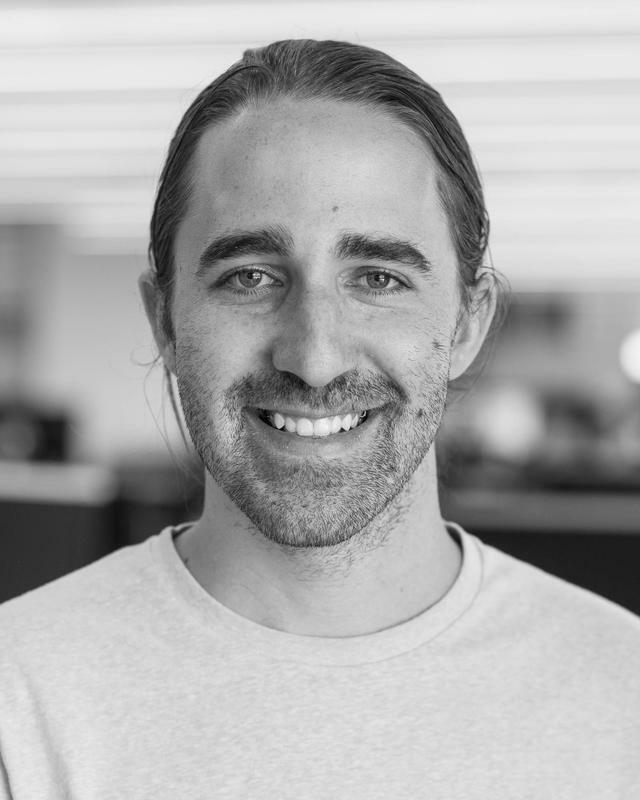 It’s brought him longevity and increasing responsibility at Box, where he’s been promoted five times, starting as a software engineer to his current role as VP of Engineering. He credits biohacking for giving him resilience and capacity, both of which he needed in spades to grow his subset of the engineering team from 5 to 130, from its early days through a high-profile IPO. There’s no section on LinkedIn for biohacking bona fides yet, but if there were, Barreto’s would be voluminous. By his own estimation, he’s been at it for more than a decade, devoured over 100 books and 100 podcasts on the topic, attended a half dozen biohacking conferences, and invested six figures, easily, in this endeavor. And he’s not stopping there, nor is he alone: Box co-founder and CFO Dylan Smith is his most frequent biohacking collaborator and boundary pusher. The good news is you don’t have to go quite as far as Barreto. He’s scoured the literature — and tried everything from supplements to daily blood draws to hacking the gut biome — and knows a thing or two about what works (and what doesn’t). In this exclusive interview, he shares principles that anyone can start implementing today to be a happier, healthier person and, ultimately, a more effective professional. If biohacks sound a little daunting, consider this advice as a starting point. This isn’t a quest to become the protagonist in Limitless; it’s an offering of everyday considerations that can bolster and broaden an enduring career. The Greatest Boost to Productivity is Ownership. Biohacking is not just about supplements and biorhythms — it’s also about tools to accelerate mental shifts. To help, Barreto voraciously consumes the work of behavioral psychologists and social scientists. When it comes to productivity, he’s particularly inspired by the research of journalist Charles Duhigg. For his book Smarter Faster Better, Duhigg spent two years interviewing professionals about their productivity tactics. Ownership isn’t always being in positions of power, but feeling you have the access and ability to rebalance power. Role play to ditch the victim mindset. Not only will you feel less powerful, you’ll appear less effective, too. Try a simple exercise with your team to see this principle in action: pair off, then ask one member of each pair to recount a situation as a victim. Have the other member describe how they perceive their partner. Then repeat the exercise with the speaker recounting that same situation as an owner. Take control with a single sentence. A blank memo. An empty deck. Everyone knows the hardest thing to do sometimes is just get started. Nowhere is this more true than with an overflowing inbox. That’s why Barreto recommends a practice of depositing one sentence in a response to quickly regain control over the request and its owner. The Antidote to Stress Isn't Happiness. It's Resilience. According to Barreto, dealing with stress goes straight to the heart of a lot of life-hacking topics. Left unchecked, it can lead to burnout and quickly wipe out any of the gains you see from your new productivity-boosting habits. Still, stress is part and parcel with working, and living, and you’re fighting a losing battle if you try to hack your way out of it entirely. But Barreto recommends a few practices for mitigating its impact, and for distinguishing between acute stress — which can actually be a valuable tool for building resilience — and more dangerous chronic stress. Sweat before breakfast. Meditate daily. Float weekly. If you’re using exercise, meditation, floating or any other techniques for stress, you have to start before you’ve burnt out. For Barreto, much of stress management involves finessing Newton’s first law of motion in your favor. There’s one more physical practice that has become a cornerstone of Barreto’s stress-management regimen: playing with extremes of heat and cold. Changing your inner weather starts with outer weather. Use heat and cold as levers to reduce stress. Cold showers and hot saunas have benefits in and of themselves, but there’s a broader lesson there, too, one that can be extrapolated to workplace scenarios. If forced extremes can change the human body, how might they be leveraged to boost your — or your team’s — professional resilience? The human brain has a natural negativity bias and will react to and remember problems and disappointments with more intensity. While this bias is useful from an evolutionary perspective, it can cause problems for humans today. Psychologically, gratitude is medicine. It’s an an inoculation against fear, anger and sadness. When thinking about stress, the underlying principle for Barreto is how to build resilience in his life. “I used to think happiness was the end goal. What I'm realizing is that no one is happy 100% of the time,” he says. “You should be able to embrace sadness and other emotions when the time is right.” At the end of the day, that’s the goal of Barreto’s stress hacks: not letting sadness, project failures or cold temperatures act as a barrier to engaging with the world. Energy Doesn't Come in Finite Supply. As you diminish and control the role that stress plays in your life, energy levels will naturally rise. But don’t stop there. Over the course of a day, a week, a year, there are concrete steps you can take to continue amplifying your energy. Barreto credits two principles in particular with giving him the stamina and energy to work better and push himself further. Boost energy with power poses. At the end of the day, lots of Barreto’s hacks — from morning saunas to isolation tanks — aim to mimic the feeling of having had a great night’s sleep. Another way to accomplish that? Get a great night’s sleep! If you have no idea what your sleep stats are, there are tools out there to help. “I have the ŌURA, which is the most accurate device on the market right now,” says Barreto. But you don’t have to go high tech or spring for a tracker, if it’s too costly. Simply logging your sleep and waking experiences can yield powerful insights. If your morning or nighttime routine sounds about as far removed from your work life as you can get, think again. All of these tips and tools, from blue light–blocking glasses to a morning sessions in the sauna, are geared toward better equipping you to navigate not just a job, but a long, productive career. To be more productive, short circuit situations to claim — or simulate — ownership. To mitigate stress, create habits that lead to resilience over happiness. Get started by exposing yourself to extremes (such as heat and cold) or introduce a smarter gratitude practice into your regimen. Lastly, biohacking to restore energy is about ways to simulate the effects of sleep. Energy has as much to do with the postures you make, as tracking sleep itself. But the beauty of many of these biohacks is how they can interweave and compound. Photography courtesy of the subject. Art by Donald Iain Smith/Getty Images Plus/Getty Images.